65. Engineering the Interface Chemistry for n–Type Sc Contacts to High–Performance WSe2 Devices. 64. Engineering the Pd–WSe2 Interface Chemistry for FETs with High Performance Hole Contacts. C. M. Smyth, L. Walsh, P. Bolshakov, M. Catalano, R. Addou, L. Wang, J. Kim, M. Kim, C. Young, C. L. Hinkle, R. M. Wallace. 63. Using Photoelectron Spectroscopy in the Integration of 2D Materials for Advanced Devices. Rafik Addou and Robert M. Wallace. 62. Dislocation driven spiral and non-spiral growth in layered chalcogenides: morphology, mechanism, and mitigation. Y. Nie, A. T. Barton, R. Addou, Y. Zheng, L. A. Walsh, S. M. Eichfeld, R. Yue, C. R. Cormier, C. Zhang, Q. Wang, C. Liang, J. A. Robinson, M. J. Kim, W. G. Vandenberghe, L. Colombo, P. Cha, R. M. Walalce, C. L. Hinkle, K. Cho. 61. High-Mobility Helical Tellurium Field Effect Transistors Enabled by Transfer-Free, Low-Temperature Direct Growth. G. Zhou, R. Addou, Q. Wang, S. Honari, C. R. Cormier, L. Cheng, R. yue, C. M. Smyth, A. Laturia, J. Kim, W. G. Vandenberghe, R. M. Walace, C. L. Hinkle. 60. Chapter 22 - Molecular Beam Epitaxy of Transition Metal Dichalcogenides. Lee A. Walsh, Rafik Addou, Robert M. Wallace, Christopher L. Hinkle. 59. Fermi Level Manipulation Through Native Doping in the Topological Insulator Bi2Se3. L. A. Walsh, A. J. Green, R. Addou, W. Nolting, C. R. Cormier, A. T. Barton, T. R. Mowll, R. Yue, N. Lu, J. Kim, M. J. Kim, V. P. LaBella, C. A. Ventrice, Jr., S. McDonnell, W. G. Vandenberghe, R. M. Wallace, A. Diebold, and C, L Hinkle. ACS Nano 12, 6310-6318 (2018). 58. 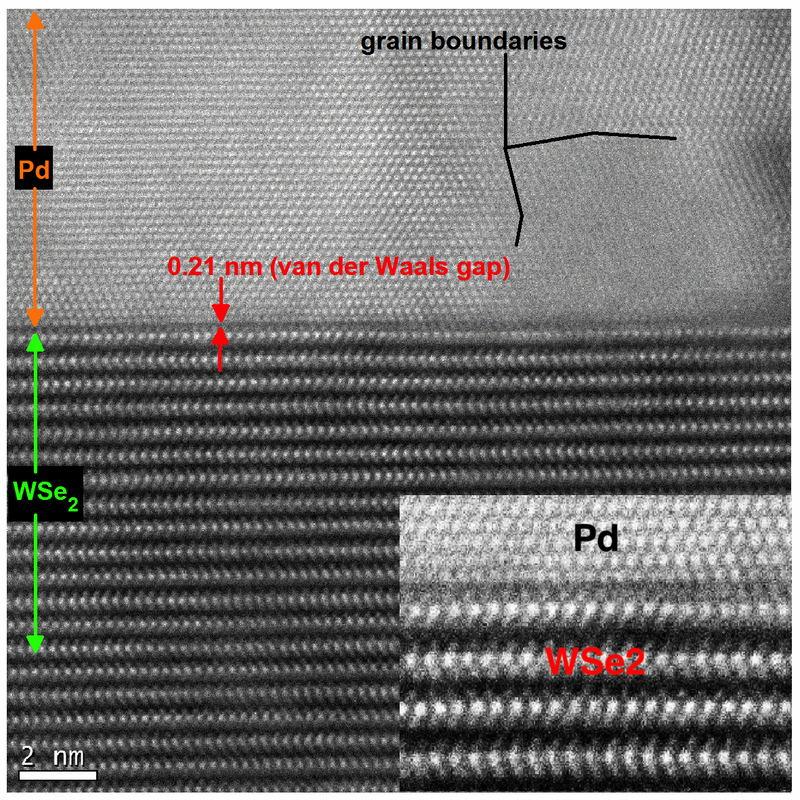 One Dimensional Metallic Edges in Atomically Thin WSe2 Induced by Air Exposure. R. Addou, C. M. Smyth, J.-Y. Noh, Y.-C. Lin, Y. Pan, S. M. Eichfeld, S. Fölsch, J. A. Robinson, K. Cho, R. M. Feenstra, and R. M. Wallace. 57. Tuning the electronic and photonic properties of monolayer MoS2 via ­in-situ Re substitutional doping. K. Zhang, B. Bersch, J. Joshi, R. Addou, C. R. Cormier, C. Zhang, K. Xu, N. Briggs, K. Wang, S. Subramanian, K. Cho, S. Fullerton, R. M. Wallace, P. Vora, J. A. Robinson. 56. Realizing Large-Scale, Electronic-Grade Two-Dimensional Materials. Y.-C. Lin, B. J ariwala, B.M. Bersch, K. Xu, Y. Ni, B. Wang, S.M. Eichfeld, X. Zhang, T.H. Choudhury, Y. Pan, R. Addou, C.M. Smyth, J. Li, K. Zhang, A. Haque, S. Fölsch, R.M. Feenstra, R.M. Wallace, K. Cho, S.K. Fullerton-Shire, J.M. Redwing, J.A. Robinson. 55. Covalent Nitrogen Doping in MBE and Bulk WSe2. A. Khosravi, R. Addou, C.M. Smyth, R. Yue, C.R. Cormier, J. Kim, C.L. Hinkle, R.M. Wallace. 54. Defects and surface structural stability of MoTe2 under vacuum annealing. H. Zhu, Q. Wang, L. Cheng, R. Addou, J. Kim, Moon J. Kim, R. M. Wallace. 53. Schottky Barrier Height of Pd/MoS2 Contact by Large Area Photoemission Spectroscopy. H. Dong, C. Gong, R. Addou, S. McDonnell, A. Azcatl, X. Qin, W. Wang, W.-H. Wang, C.L. Hinkle, and R.M. Wallace. 52. 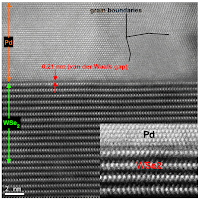 Nucleation and Growth of WSe2: Enabling Large Grain Transition Metal Dichalcogenides. R. Yue, Y. Nie, L.A. Walsh, R. Addou, C. Liang, N. Lu, A.T. Barton, H. Zhu, Z. Che, D. Barrera, L. Cheng, Y.J. Chabal, J.W.P. Hsu, J. Kim, M.J. Kim, R.M. Wallace, K. Cho, C.L. Hinkle. 51. In Situ Heating Study of 2H-MoTe2 to Mo6Te6 Nanowire Phase Transition. Q. Wang, H. Zhu, C. Zhang, R. Addou, K. Cho, R. M. Wallace, and M. J. Kim. 50. Carbon Assisted Chemical Vapor Deposition of Hexagonal Boron Nitride. A. Ismach, H. Chou, P. Mende, A. Dolocan, R. Addou, S. Aloni, R. Wallace, R. Feenstra, R. S. Ruoff, L. Colombo. 49. Integration of 2D Materials for Advanced Devices: Challenges and Opportunities. Rafik Addou & Robert M. Wallace. 48. WSe2-contact metal interface chemistry and band alignment under high vacuum and ultra high vacuum deposition conditions. C. Smyth, R. Addou, S. McDonnell, C. L. Hinkle, R. M. Wallace. 47. Unrealized Air-Stability Mechanism of Two-Dimensional Layered Transition-Metal Dichalcogenide Surfaces. R. Longo, R. Addou, S. K.C., J. Noh, C. Smyth, D. Barrera, J. Hsu, R. M. Wallace, K. Cho. 46. WTe2 Thin Films Grown by Beam-Interrupted Molecular Beam Epitaxy. L. Walsh, R. Yue, Q. Wang, A. T. Barton, R. Addou, C. M. Smyth, H. Zhu, J. Kim, L. Colombo, M. J. Kim, R. M. Wallace, C. L. Hinkle. 45. New Mo6Te6 Subnanometer-Diameter Nanowire Phase from 2H-MoTe2. H. Zhu, Q. Wang, C. Zhang, R. Addou, K. Cho, R. M. Wallace, and M. J. Kim. 44. Electronic properties of MoS2/MoOx Interfaces: Implications in Tunnel Field Effect Transistors and Hole Contacts.S. K.C., R. C. Longo, R. Addou, R. M. Wallace, and K. Cho. 43. Surface Analysis of WSe2 Crystals: Spatial and Electronic Variability. 42. Covalent Nitrogen Doping and Compressive Strain in MoS2 by Remote N2 Plasma Exposure. A. Azcatl, X. Qin, A. Prakash, C. Zhang, L. Cheng, Q. Wang, N. Lu, M. J. Kim, J. Kim, K. Cho, R. Addou, C. L. Hinkle, J. Appenzeller, R. M. Wallace. 41. Contact Metal-MoS2 Interfacial Reactions and Potential Implications on Device Performance. Christopher M. Smyth, Rafik Addou, Stephen McDonnell, Christopher Hinkle, Robert M. Wallace. 40. Physico-Chemical Characterisation of MoS2/Metal and MoS2/Oxide Interfaces (Book Chapter #7). Stephen McDonnell, Rafik Addou, Christopher L. Hinkle, and Robert M. Wallace. 39. Tuning Electronic Transport in Epitaxial Graphene-based van der Waals Heterostructures. Y.-C. Lin, J. Li, S. Barrera, S. Eichfield, Y. Nie, R. Addou, P. C. Mende, R.M. Wallace, K. Cho, R. M. Feenstra, J. Robinson. 38. Recombination kinetics and effects of superacid treatment in sulfur and selenium based transition metal dichalcogenides. M. Amani, R. Addou, G. H. Ahn, D. Kiriya, P Taheri, D.-H. Lien, J. W. Ager, R. M. Wallace, and A. Javey. 37. Partially Fluorinated Graphene: Structural and Electrical Characterization. L. Cheng, S. Jandhyala, G. Mordi, A. T. Lucero, J. Huang, A. Azcatl, R. Addou, Robert M. Wallace, L. Colombo, and J. Kim. 18. MoS2 Functionalization for Ultra-thin Atomic Layer Deposited Dielectrics. A. Azcatl, S. McDonnell, S. KC, X. Peng, H. Dong, X. Qin, R. Addou, G. I. Mordi, N. Lu, J. Kim, M. J. Kim, K. Cho, R. M. Wallace. Appl. Phys. Lett. 104, 111601 (2014). 17. Defect-Dominated Doping and Contact Resistance in MoS2. S. McDonnell, R. Addou, C. Buie, R. M. Wallace, C. L. Hinkle. ACS Nano, 8, 2880–2888 (2014). "Complex Metallic Alloy Surfaces: Structure, Properties and Nanostructured Surface"